The Department of Mathematics and Statistics offers undergraduate students Bachelor of Science programs with concentrations in Applied Mathematics, Pure Mathematics, Computation Mathematics, Mathematics Education, and Statistics. Graduate level programs lead to a Master's or Doctorate degree with options in Pure Mathematics, Applied Mathematics, and Applied Statistics. 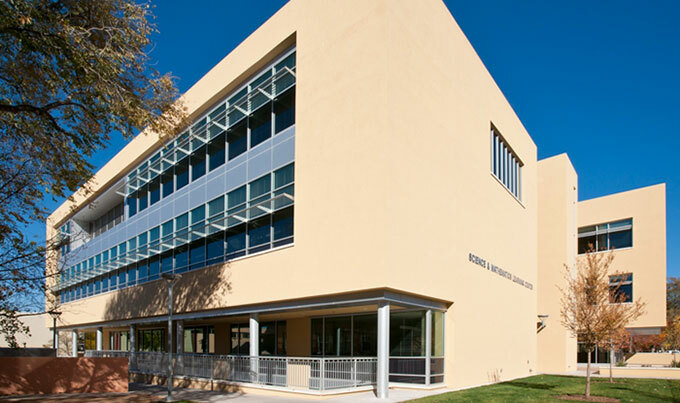 Students planning undergraduate and graduate studies at the University of New Mexico will find a congenial department and a faculty of international stature. The research interests of the department encompass core areas of analysis, computational mathematics, geometry and topology, mathematical biology, mathematical physics, nonlinear systems, and probability and statistics. The Department of Mathematics & Statistics has been granted an NSF-MCTP award from May 2012 - April 2017, with support for activities at the undergraduate, graduate, and postdoctoral level. Bibiana Seng is invited to Washington D.C. to showcase her research, congratulations! Full-time lecturer position in statistics! Dmitry Panchenko was awarded a 2019 Simons Fellow!